The first 12 years of my working life were spent in the most male dominated workplaces imaginable. Over 30 years ago, I began an 11-year military career. After that, I spent a year on a drilling rig in northern Canada. There were women in the military, but in no way were they given a fair chance to succeed. Most of the time, the worst of their male “colleagues” made their lives a living hell. Up north, the only women in our rig camps were cooks and housekeepers. Rig workers treated female camp workers better than I’d seen female soldiers treated, but the inappropriate jokes and sexual innuendo was still way off the scale. Today, it’s rightly considered serious sexual harassment, but, twenty years ago, our employer tolerated it. Male dominated workplaces have injured both women and men. To survive in the military and on the rigs, you were either top dog or you submitted to the top dog. Although I was promoted to leadership roles in the military, I was never top dog among my peers. I made great friends in the military and learned a lot about leadership, but the army and the rigs were hostile and oppressive workplaces, and that’s why I left. I hear it’s gotten better. Fast-forward to the late 1990’s to when I graduated from college and began working in the corporate world alongside competent, capable and assertive women; what a change for the better. The policies and behaviors necessary to make a corporate office tolerable for women, even though there is still a long way to go, made it better for everyone. All workplaces have problems, but I’m convinced that if there were no women in the office, behavior would have been just like on a military base or drilling rig. For me, work changed from something I had to survive to something that helped me thrive. Yes, things got better for me, but they are still not good enough for so many women. Obviously, I’m not an expert on women’s issues, but the research is clear. In Canada, on average, women are paid 74 cents for every dollar a man makes. 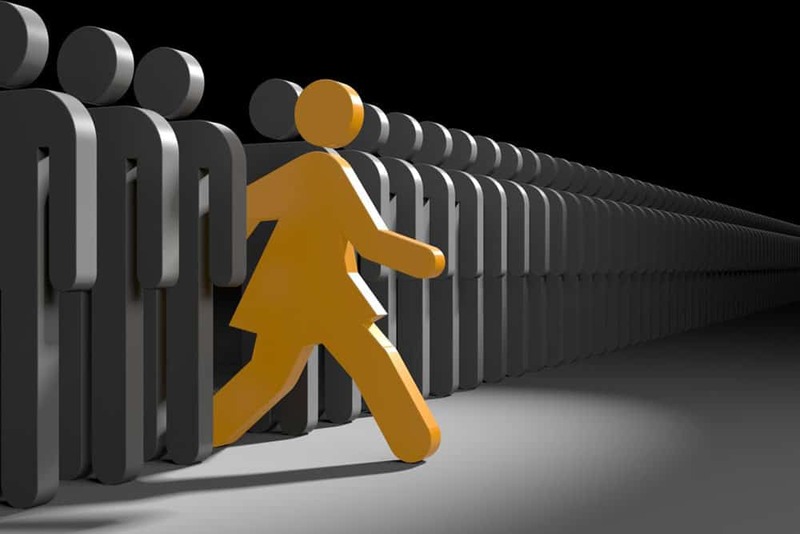 Women are stalled in their careers by exclusion from professional and social networks that transmit important political skills necessary for promotion to senior leadership roles. Although different studies report different results, the research shows that between 50 to 60 percent of working women experience sexual harassment in the workplace. The list goes on and on, and it’s no wonder that women consistently report higher levels of workplace stress than men. But if you still don’t believe that today’s world of work is male dominated and needs to change, then think about this. From 1990 to 2017, for my entire corporate career, the female percentage of the workforce rose from 44.1 to 47.2 percent. However, I’ve never had a female boss. I worked alongside women, but men always filled the leadership roles I reported directly into. That’s messed up. Last week, Canada released its 2018 Federal Budget. The Trudeau Government has been clear that the budget is gender-based and every element received a “gender analysis.” The budget includes a range of initiatives to get more women working, making more money, and fighting for safety in the workplace. “If it’s good for women, it’s good for Canada’s economy,” is the CBC’s interpretation, and they’re right. But I’ll go one step further. If it’s good for women, it’s really good for every man who wants a better world of work for himself. Although some women can be jerks just like some men, there is no doubt that male dominated workplaces have injured both women and men. So, again, I’ll go a step further. Maybe a female dominated workplace is what’s needed to create a world of work that is truly a source of wellbeing. If that sounds inappropriate or scary to you, then, man or woman, you’ve been well socialized by our male dominated world of work.